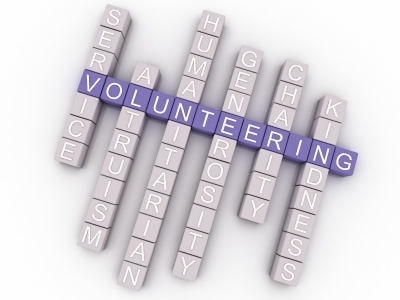 Volunteer Service Award Nominiation | Back to Basics Learning Dynamics, Inc. Nominations for the Governor’s Outstanding Volunteer Service Awards are being accepted by the State Office of Volunteerism through Friday, Aug. 19. These awards recognize the important contributions that Delaware’s volunteers, aged 18+, make to their communities. Award recipients will be honored on October 19 at a special ceremony at Dover Downs Hotel. As in years past, the awards honor individuals, organizations, community groups, and corporate volunteerism in the areas of arts and culture, community service, education, environment, health, human needs, public safety and social justice. In addition, three new categories have been added: economic opportunity, veterans/military families, and healthy futures. The Paul Wilkinson Lifetime Achievement Award is presented to a person who has had a longtime commitment to volunteerism. Volunteer efforts must have been performed during 2015. Gov. Markell and his wife, Carla, have been champions for volunteerism and service, creating and participating in the annual Delaware Week of Service every year since 2009. During that period, Delaware’s volunteer rate has increased, with the Corporation for National & Community Service (CNCS) reporting more than 192,000 Delawareans volunteered in 2014, contributing 21.4 million hours of service to nonprofit and community organizations. Since 2010, the number of Delawareans who volunteer has increased 30 percent and the state’s rate of volunteerism has surpassed the overall U.S. rate. The nomination form is available on www.VolunteerDelaware.org. Nominators may also request a nomination form by calling (302) 857-5006. Nominations must be delivered by Friday, Aug. 19, to the Office of Volunteerism, Attn: Governor’s Outstanding Volunteer Awards, c/o April Willey, Williams State Service Center, 805 River Road, Dover, DE, 19901, or emailed to dhss_VolunteerDelaware@state.de.us. The Governor’s Outstanding Volunteer Service Awards are sponsored by the Office of the Governor and are coordinated by the State Office of Volunteerism and the Governor’s Commission on Community and Volunteer Service. For more information about the awards or volunteer opportunities, go towww.VolunteerDelaware.org, or contact April Willey, Volunteer Service Administrator, at (302) 857-5006.
in addition, Back to Basics operates a unique Department of Education-approved 1-on-1 K-12 Private School in Wilmington, Delaware. For more information about Delaware’s only Department of Education approved 1-on-1 private school, please call us at 302-594-0685. To learn more about Back to Basics’ in Wilmington, Delaware, or award-winning 1-on-1 tutoring services, please call us at 302-594-0754.